This entry was posted in Editorial and tagged Editorial, Game of the Year, GOTY, Mario Odyssey, Nintendo, Sega, Sonic Forces by dreager1. Bookmark the permalink. You needed more confidence in Forces Destroyer! As someone who has limited free time I don’t mind games being short. I have money to buy games, but no time to play them all. Quantity doesn’t equal quality. 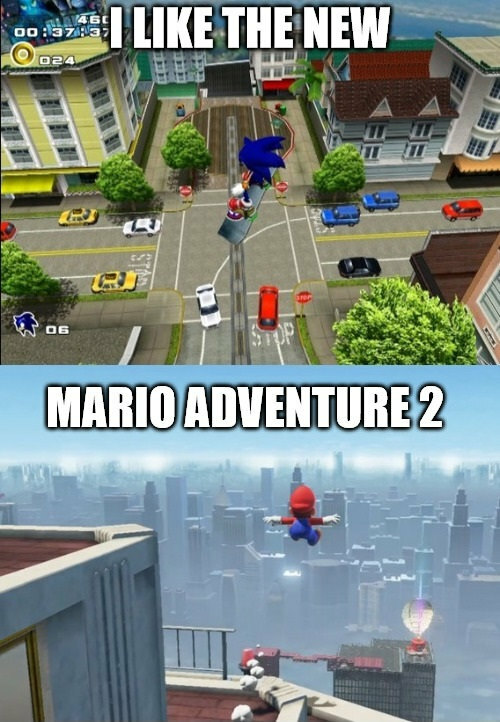 In this case however I am pretty sure Mario is better than Sonic. I played through the Shadow stages of Forces the other day and wasn’t too impressed. Hopefully the main game wins me over. You could have explained why the autopiloted gameplay Forces has is better than the sheer freedom and control in Super Mario Odyssey. Hell no. Mario Odyssey beats Sonic is story and Gameplay wise. 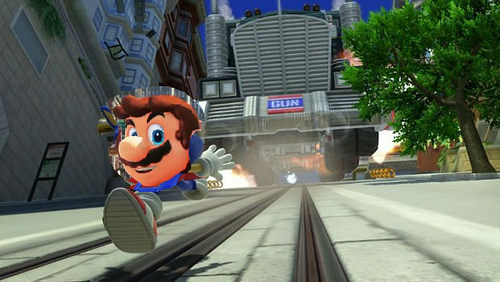 Mario’s freedom gameplay is way better than all three of Sonic’s gameplay styles. Hell no. Sonic’s story isn’t ambitious. 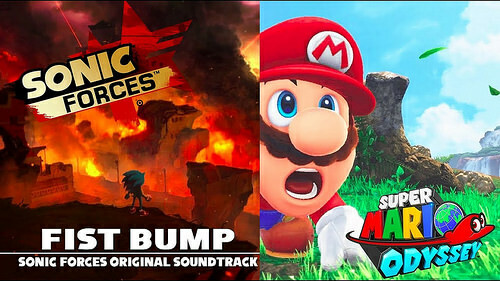 Mario’s story is more simple and actually does better than Sonic’s many confusing horrible stories. Nope, what I said was a fact. You can’t deny that Mario’s story is more simple and more interesting. And more ambitious. Mario’s story is more interesting and more ambitious, facts. Mario Odyssey is better. Facts. When it comes too game play, its completely based on the consumer or like a cup of tea scenario, but sonic forces game play is kinda of just use boost to win or go forward to succeed,Not to mention unlike other boost formula sonic games, the enemies barely do nothing in force, they just stand there, and the few that do anything aren’t a threat to modern sonic or the custom character due to boost and frame attack exploits, Odyssey wins game play due to having better programmed AI, even if the enemies aren’t all that threatening, they aren’t cannon fodder that stands still as a blue hedgehog blows through them like a hot knife through wet butter, And Marios moveset is a lot more diverse than sonic’s. As for the story, it was more ambitious, but things made little to no sense, How do “illusions” make you faster than a hedgehog moving faster than sound? Did egg-man make the phantom ruby or was found in the ground like mania? And why is infinite such a crybaby and rip off of shadow, I mean he referred to himself as the “Ultimate” Mercenary, that is such a thing shadow would say. Characters within the game also feels like cameos rather than important plot elements within the story, Any juicy story details can only be found by reading the comics and even then there not 100% canon, just adaptations of the story itself, But even then the story, despite its complication, has more story then Odyssey, I would say that its the only aspect it win in, but avatar creation is a little bit cooler than dressing mario up in a cute little tuxedo, Now only if sega could allow the avatar to run around in his boxer short with his fur shaved, if it worked for mario than it’ll work for them. The avatar creation is not better than Mario’s costume change, and the story is better than sonic forces. Even the gameplay is better. I gotta disagree there. Sonic Forces was a masterpiece!